The Price Of Coffee On The Com.. Bellwether Coffee Wants To Be ..
After over a decade playing linebacker in the NFL, Stephen Tulloch finds himself tackling a new career: coffee shop owner. Wanting to give back, the native Floridian founded the Stephen Tulloch Foundation to help underprivileged children and people dealing with cancer, and Tulloch wants to use Circle House Coffee in Fort Lauderdale to continue his mission. Teaming up with Miami’s Panther Coffee, Circle House is bringing a specialty coffee experience but with an eye toward giving back; each month the cafe will be donating to a different charity to this end. Circle House is still a few months out from opening, which will give Tulloch a little extra time to hone his barista skills. Hopefully he’ll be as good at the lunch rush as he was the pass rush. As told to Sprudge by Stephen Tulloch. Circle House Coffee philanthropic vision is to support local, global foundations, and causes by giving back one sip at a time. Since recently retiring from my 11 year NFL career, I founded the Stephen Tulloch Foundation. Our mission is to help underprivileged kids and people dealing with cancer. I wanted to find another way to continue that vision since retiring, so I created the brand Circle House Coffee to be able to touch people and give back through coffee. Aside from coffee, we also serve beer, wine, pies, cheese cakes, baked goods, breakfast sandwiches as well as lunch sandwiches and a few other goodies! Circle House Coffee coffee shop is located in a standalone three-story building located downtown Fort Lauderdale, Fl. This will be the first drive-thru coffee shop downtown Fort Lauderdale. 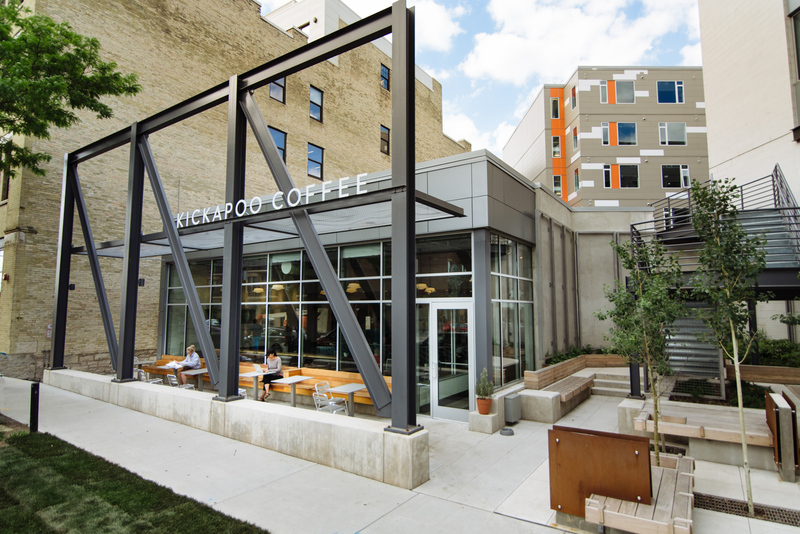 The 2,500-square-foot coffee shop is located on the first floor with indoor/outdoor seating with a patio, outdoor TVs, sound system, a drive-thru. The top two floors will be rented out for office space. My approach to coffee is providing individuals with an excellent brand and style of specialty coffee and at the same time being able to live out our mission and give back one sip at a time through donating to different charities every month for special causes. At Circle House Coffee, we have two La Marzocco Linea PB espresso machines—one for the in-house cafe and one for the drive-thru—as well as nitro coffee and cold brew and a unique machine called the Ripple Maker. Our target date is the early November. Our current coffee roaster is Panther Coffee a local South Florida brand whose mission lines up with Circle House Coffee’s, and that is “giving back.” We’ve also teamed up with other South Florida vendors for pies, baked goods sandwiches, salads, etc. Circle House Coffee is located at 727 NE 3rd Ave, Fort Lauderdale. Visit their official website and follow them on Facebook, Twitter, and Instagram.